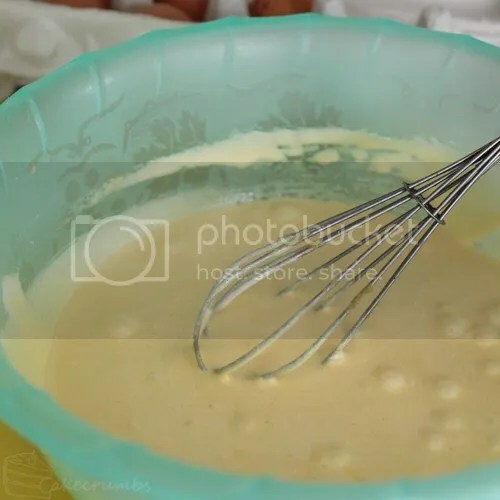 Making the batter is really simple. You'll need to separate your eggs, then whisk in the sugar and vanilla until light and creamy. … then it's time for the meringue. The method won't tell you to do this, but whenever I'm folding meringue into a dense mixture I always do it in batches of at least a third. If you dump it all in and try to fold, I find you end up deflating the meringue too much. Mixing it in in batches gradually lightens the mixture. By the time you get to working in that final amount, you'll have kept the air and volume you worked so hard at getting into the egg whites in the first place as much as is possible. 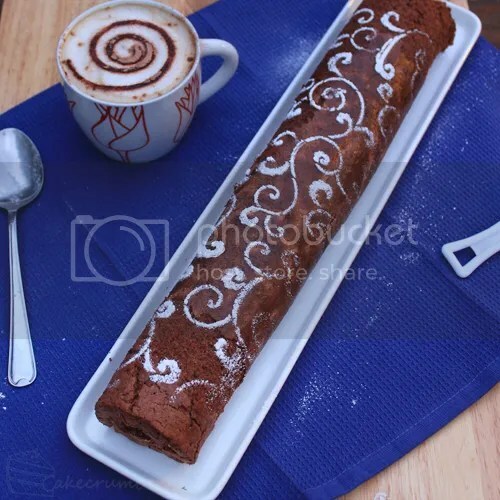 The recipe asks for a swiss roll pan. I don't know if this qualifies as one. I don't know if it's even the right dimensions – I have to confess to paying zero attention to appropriate pan sizes. I figure if it's rectangle and has at least little walls, it'll do. While that's baking away, you'll want to get this ready. 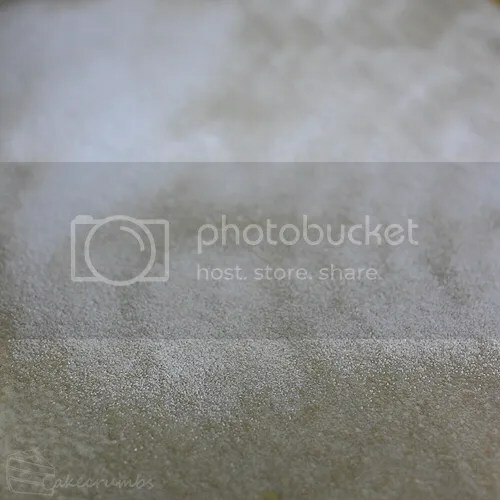 You need the sugar-covered baking paper the second the cake it out of the oven. I found the instructions about rolling this thing slightly ambiguous. I assume you roll it up with all the baking paper still on it. I’m also terrible at following instructions and realised too late that I'd rolled this the wrong way, as you can see below. I flattened it out and attempted to roll it the right way. 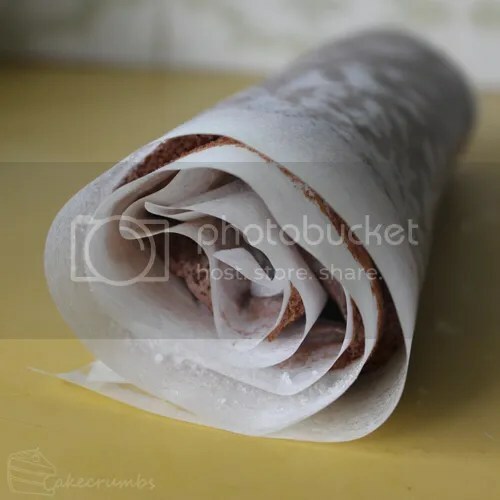 I was far too rough with it and by the time I had to peel the baking paper off of it, which was a task in of itself, it ripped in every direction. I had to make the choice – salvage or begin again. In spite of the wasted ingredients, I decided to begin again. This time I made sure to roll it up the right way, and this time I decided to roll it around a rolling pin to give shape. I think the rolling pin helped loads and would recommend it to stop the cake from ripping in the centre. Finally, I had the cake rolled up and ready to go. Rolling it up required some care, and it by no means flawlessly came away from the baking paper, but I managed to end up with something that resembled a scroll. You can decorate it however you want, or not at all. I chose to dust some icing sugar over the top using a favourite stencil of mine. 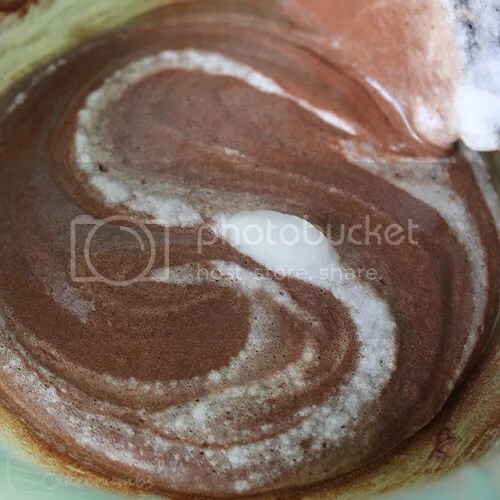 It's all about the swirls this week. With the fading light, I didn't have enough time to chill this thing as long as the recipe asked and still get half photos of it, so I held by breath and hopped it wouldn't squish. It didn't fare too badly in the end. 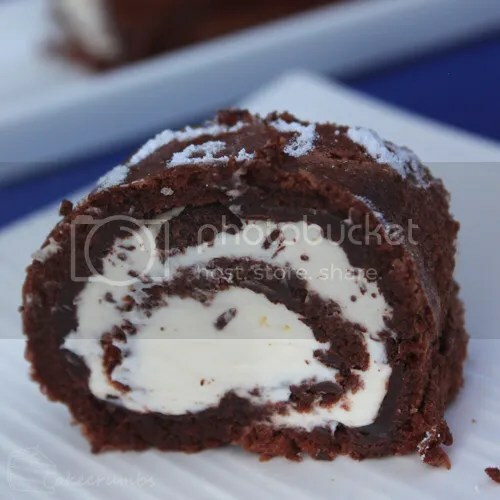 This recipe has a layer of chocolate on the inside, which is something I've never seen in a roulade before. It does make it an extra challenge to slice through, so make sure you get that layer of chocolate nice and thin. I didn't have milk chocolate on hand, only really dark chocolate. Not a preference of mine, so I sweetened the cream a little to balance out the bitterness. The dark chocolate gives the cake an almost mocha taste. All in all, it was a much more sucessful evening of baking that I thought it was going to be. 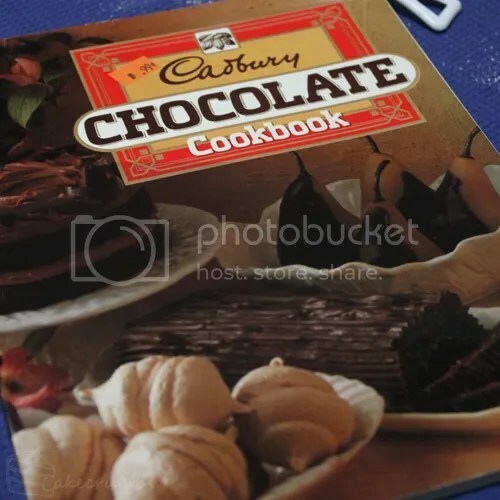 Whenever I do a cook book challenge recipe, I always give the recipe how it is in the book (unless I know a particular step might prove problematic). Oddly, there's no date in this book, but the photography and methods indicate it's quite old. I would suggest preheating your oven straight after lining your baking tray. Any recipe in the book doesn't refer to stiff peak or soft peak. Instead it refers to clouds or beating until not dry. 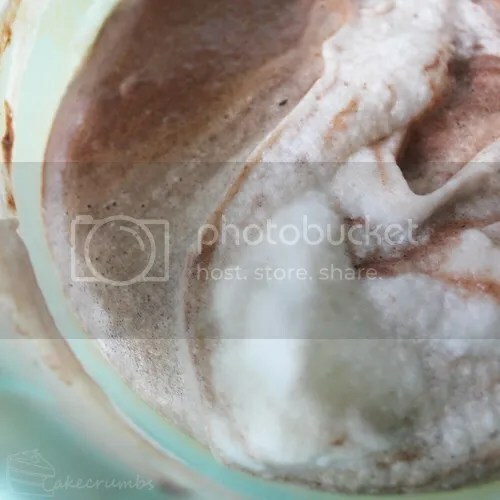 I assume this recipe is warming you to not overbeat your meringue. I beat my meringue to soft peak, as I find this aids folding it into a mixture. Lastly, this book gives no weight measurements. I used AU cups for this recipe, but whatever you have will probably be fine as long as you're sticking to one system. Whisk egg yolks, vanilla essence and sugar in a bowl until creamy. Sift in cocoa. Beat egg whites until stiff but not dry and fold into mixture. Pour into prepared pan and spread evenly into corners. Bake in a moderate oven, 180°C, for 15-18 minutes. Turn out onto greaseproof paper sprayed with non-stick cooking spray and sprinkled liberally with caster sugar. 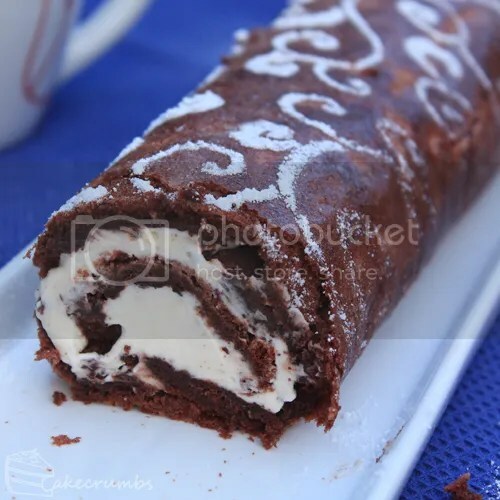 Roll up like a swiss roll and cool. 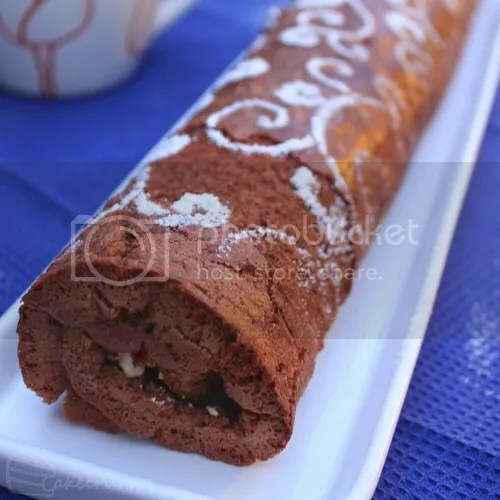 Unroll roulade. Carefully peel away greaseproof paper. 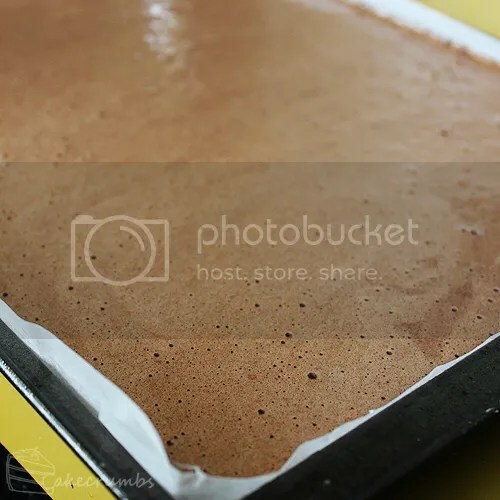 Melt chocolate in basin over saucepan of hot water, or in a pan over low heat. 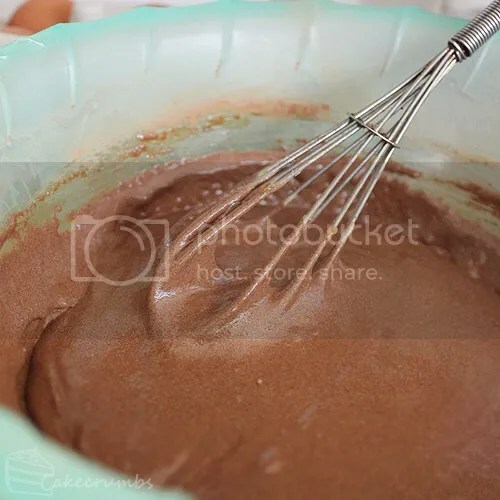 When cake is cold, spread with melted chocolate and then whipped cream. Roll cake and chill in the refrigerator for at least 30 minutes. Slice and serve. Awesome – I’ll keep that one in mind! The swirls look great, especially next to the decorated drink. Very indulging-looking.